The Colombia Finca La Amapola Microlot from female producer, María del Socorro Tenorio Peña, is a limited availability lot of Castillo/Colombia varietals from her family farm, La Amapola, which lies outside the capital city of the Valle del Cauca Department, Santiago de Cali. The farm rests at 5,900 feet elevation and has received 4C certification as a sustainable coffee producer. In the cup there are a few notable distinctions that make the Colombia Finca La Amapola a bit different from our other Colombian microlots. Look for a comparatively stronger acidity (and nice snap to go with it), brown sugar sweetness and hints of jasmine and lemon—overall very clean and pleasant with a good, creamy body, great aroma and a nice finish. The Colombia Finca La Amapola is washed, patio dried and harvested from May to June and a second ‘mitaca’ harvest following from November to January. Valle del Cauca is bordered by the neighboring departments of Risaralda and Quindío in the north, Tolima and Chocó to the west and Cauca to the south. The region as a whole resides within the Cauca river valley, surrounded by dense jungle forests and a large portion of the Andean mountain range to the west which shields the valley from Pacific winds and dense, humid jungles on the other side of its peaks. Of the surrounding areas, the Cauca River valley is considered the most fertile in this part of the country. A massive portion of the western Andes is protected reserve and part of the vast, Parque Nacional Natural Farallones de Cali, established in 1968. Within its boundaries, this 500,000+ acre reserve protects 4 distinct ecosystems, broken up by elevation into sub-Andean valley forest (200-1200m), dense Andean forest (1200-2000m), high elevation forest (2000-3500m) and the moors which reach to the very peaks at 3500m and above. The water flows from these peaks, in particular those flowing to the East, supply both drinking water and hydro-electricity to several regional municipalities, including Cali. The area is also home to numerous indigenous peoples and a multitude of large shade trees such as palm, ficus and rubber. 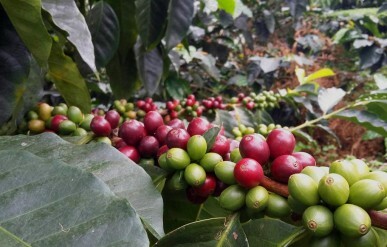 The high humidity combined with a pristine soil-type known locally as “Chinchiná Unity Soil” and an average annual rainfall of roughly 118 inches per year make this an overall excellent locale for producing high quality arabica. 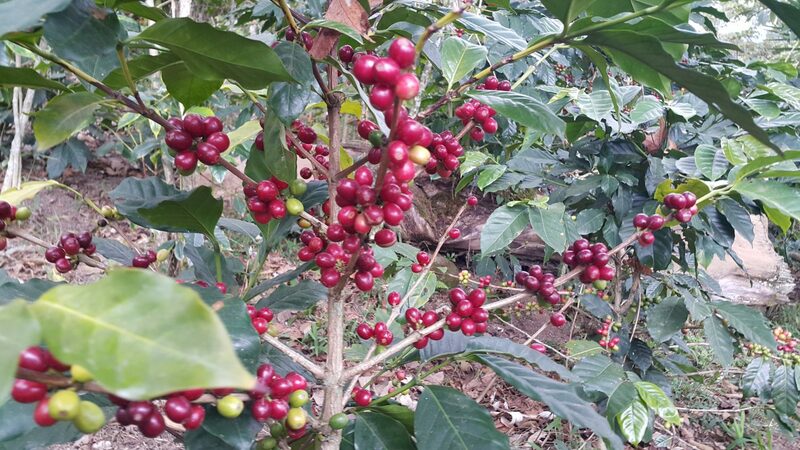 As green coffee bean suppliers and lifelong supporters of environmentally friendly coffee and sustainable growing practices, we are very happy to be offering the Colombia Finca La Amapola as a 4C certified Colombian microlot green coffee. 4C stands for “Common Code for the Coffee Community” and is a 27-point agreement that was developed with the assistance of coffee growers and farm holders worldwide. It’s guidelines codify specific economic, social and environmental standards for strengthening coffee growing communities while protecting the surrounding ecosystem. Included are also 10 specific unacceptable practices which must avoided. 4C certification is provided by FLOCERT who also provide Fair Trade certification through a hands-on auditing process at origin. Cupping Notes: Strong acid, good body and snap, creamy, great aroma, sweet, brown sugar, hints of jasmine and lemon. Clean and pleasant on the mouth. 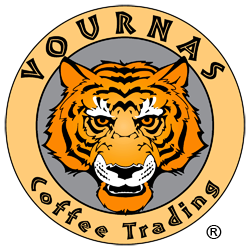 © 2019 Vournas Coffee Trading, Inc. All rights reserved.